One African poet once remarked: "There is nothing wrong with the African mind. Our problem is the African mindset. It is not a lack of resources, but a deficit of resourcefulness. And ours is not merely a need for more educated minds, but also for more transformed minds. In other words, the heart of the African problem is the African heart." This year Zimbabwe and Africa at large, need more re-branding strategies, failure to do so, ours will be a legacy of travel bans, cry for FDI, sanctions and xenophobia if something doesn't change. Zimbabwe is starting on a good footing. In this era, it should not be the desire of politicians to spread hate, to crush, and to exterminate an enemy, opponent, the suspicious stranger, or just every man, woman and child in the world because of an ideology. Since the end of the Millennium Development Goals (MDGs) stage, Africa has been praised for meeting the majority of its goals in key sectors. Now, the issue of Sustainable Development Goals (SDGs) remains a key element towards 2030. Sub-Saharan countries are reportedly not on track to meet their goals on health and poverty. They have been urged to start their SDGs on a platform of equity and equality. Poverty, like any other problem in life, must be understood if it is to be solved. Food aid alone is unlikely to provide permanent solution to any African problem. Now, the issue of self-dependence while playing a key role on the global platform is the major point of President Emmerson Mnangagwa's administration towards making Zimbabwe a middle-income economy by 2030. The vision of the current administration through the Transitional Stabilisation Programme (TSP) is to create a foundation that will reach out the finish line by simultaneously attaining the SDGs and the 2030 middle-income economy vision. Zimbabwe faces a painful paradox that is intimidated by a horrible fact which is both contradictory and extraordinary. Contradictory in the sense that our national leaders appreciate that the nation's resources should be used as a leverage to improve the economy and extraordinary in that some anti-foundational elements claiming "having keys to unlock the economy" want people to remain poor. 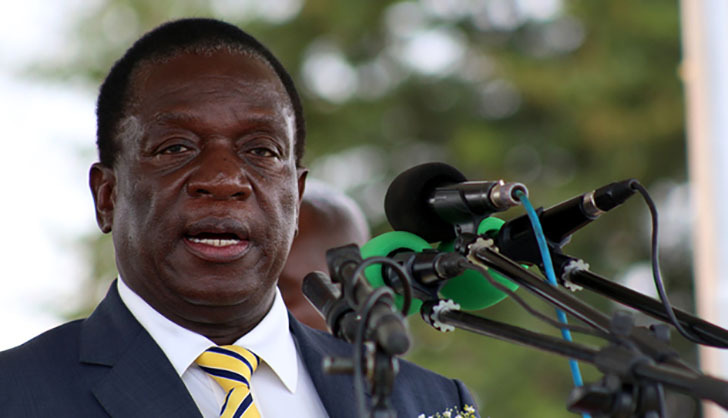 President Mnangagwa and his administration are wearing news minds, also implementing new strategies, which are the beginning of birth pangs for a new trajectory. Since his ascension, President Mnangagwa has engaged the British government, European business delegates, acknowledged that for Zimbabwe to prosper it needs to be in the family of nations and has encouraged robust democratic deliberations by all players, including offering a post to Mr Nelson Chamisa as an officially recognised opposition leader. Mr Chamisa dismissed the gesture saying he will not be "tricked like what they (during Mugabe era) did to Morgan Tsvangirai". His engagements and commitments are the core of the MDC Alliance's hatred of the new administration because of the successive defeats the opposition parties have faced since 1980 at the hands of Zanu- PF. Opposition parties, the world over, are known to play critical roles in democratic vibrancy and providing alternative policy initiatives to the incumbent so that they claim their visibility on the national scene. With the opposition in Zimbabwe, it is a different case. Their desire has been to protect and further neo-liberalist opinions arguing if it is not for them, it can never be for another. But this year is bringing in a totally different view. Traditionally it has been a rare for Zimbabweans to deliberate issues without tossing conspiracy and counter theories in social, political and economic developments affecting the nation. Since the turn of the millennium, every explanation has been political. This has shown the failure of Zimbabweans to dream beyond political discourses. Comfort has been sought in the cliché "everything is political". But this new year is a signal of setting aside political ideology over economic initiatives. The opposition will live with mistrusts of old, while President Mnangagwa is preaching a confidence of the new. The message of peace, unity and love among compatriots spread by President Mnangagwa is an opposite of the violent sentiments by some in the opposition political entity. Natan Zach, an Israeli poet, in his 1982 sonnet emphatically condemned violence against any people of any race saying "political violence, leading to war reminds me of the failure by men to grasp the consequences before tragedy strikes." With President Mnangagwa having been given the mandate to lead, Zimbabwe is in safe hands. Criticism will always be there, and the reason why the economy will prosper, against the odds, is because of the such by naysayers.